ASK QUESTIONS TO CLEAR YOUR DOUBTS….We Welcome YOU! How do you give the best and fair cash offer on my house? We enable to give fair cash offer on your house, as we follow completely a professional PROCESS. We determine what repairs are required, location of your house and its current condition. We also optimize and compare values of sold houses in the area around your house. By optimizing all the market concerns and sold houses values, we come up with a fair cash offer on your property. I am frustrated with tenant, can I sell my house? Yes, of-course you can sell your house with us. For us, it does not matter you have given out for rent or whether your house is vacant and not habitable. We welcome you! NO, we do not charge any fees or commissions. This is what makes us different from conventional real estate firms. We do not follow the traditional process of selling house. Anchored Sunshine, LLC only makes you an offer and if it is perfect, we will buy your house. We take all the risks on your behalf. So, No risks, No fees, No waiting and No hassles anymore! Do you actually buy house or list on the MLS? NO, we are not like regular real estate agents and do not list houses. In fact, we are a professional company and we buy and sell houses in San Antonio. We repair your house and resell to a genuine buyer or also keep it on rental basis with ourselves. How much you can pay for my house? We always try our best to give fair cash offer on your property. We have also purchased houses that are below market value, but assure best profit to both sellers and buyers. We very quickly close the sale without making you wait for long months and financing solutions. To enquire more in detail, please call us! Can I Sell my probate house or Sell my inherited house? Yes, you can sell your probate or inherited property with us. We can buy any property in any condition. How I can submit my property info, is there any obligation? It’s simple; we have an online application form where you can fill all the concise details about your property. You have to share basic info about the property like location, condition, vacant or not and so on..And, there is not any kind of obligation! Once receiving your property info, we contact you shortly. I want to sell my property; can I? Yes of course, you can. No matter what is the reason, you can sell your property in any condition with Anchored Sunshine, LLC. 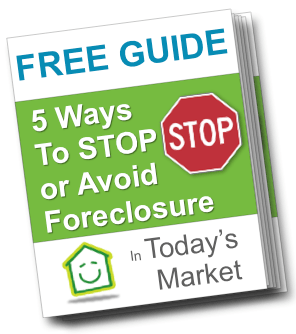 You can sell your property for any reason; whether to avoid foreclosure, facing divorce or mortgage and liens, inhabitable house, frustrated from bad rental tenants or simply need urgent money due to any reason. Please give us a call! Are you like real estate agents? No, we are not like or practice our job as conventional real estate agents. Conventional real estate agents generally list the properties and wait for the buyers, but WE DO NOT! It takes days or even long months to get a buyer for your property for a real estate agent. Apparently, Anchored Sunshine, LLC BUYS HOUSES and resell to buyers for a profitable deal for you. YES, we directly buy your house and give a fair cash offer! To sell with us, you do not have to invest on repairing your property or wait for the market uplift. We ensure best and fair price on your property whether in any condition. And, WE DO NOT CHARGE FEES OR COMMISSIONS! How soon you can close the sale? We can close the sale as per your selected date of closing. However, generally we do the closing within 7 days and give good cash to a client. IF YOU HAVE ANY QUERY, DO NOT HESTITATE….CALL US ON (210)-693-1533 AND GET A QUICK RESPONSE FROM OUR PROFESSIONAL REPRESENTATIVES! !